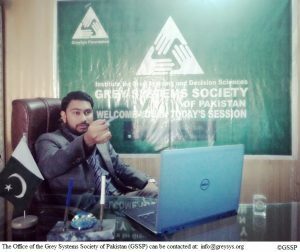 In 2014, some young researchers and scholars in Pakistan established Academy of Young Researchers and Scholars (AYRS) that is today known as “GreySys Foundation” (GsF), a registered NGO in Pakistan, with AYRS now one of its divisions. In 2015, the first study affiliated with GreySys Foundation’s Academy of Young Researchers and Scholars (AYRS) was published in “Marketing and Branding Research”, a journal by Iran’s Industrial Management Institute. 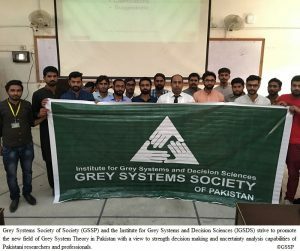 In 2016, inspired from the works of Chinese scholars of Grey System Theory, the Institute for Grey Systems and Decision Sciences (IGSDS) was established by the GreySys Foundation to promote the new field of Grey System Theory in Pakistan with a view to strength decision making and uncertainty analysis capabilities of Pakistani researchers and professionals. The researchers at GsF and its departments are collaborating with scholars from different countries. Today, the studies affiliated with IGSDS or GsF have been published in various leading journals of their fields e.g., ), International Journal of Health Planning and Management (John Wiley & Sons), Applied Thermal Engineering (Elsevier), International Journal of Health Care Quality Assurance (Emerald Insight), Grey Systems: Theory and Application (Emerald Insight, etc. The papers can be found at the GreySys Foundation’s profile at Scopus. 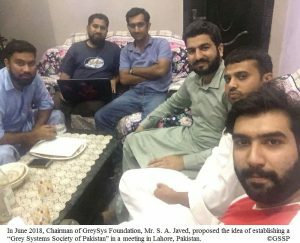 In June 2018, Chairman of the Foundation, Mr. S. A. Javed, proposed the idea of establishing a “Grey Systems Society of Pakistan” in meeting in Lahore, Pakistan. 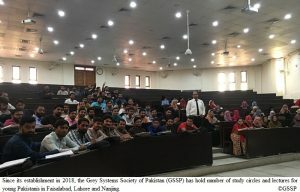 Within few months the idea was materialized under the care of the Institute for Grey Systems and Decision Sciences (IGSDS), GreySys Foundation, Pakistan. Till today the Society have hold number of study circles and lectures for young Pakistanis in Faisalabad, Lahore and Nanjing. The society can be contacted at drsaj@foxmail.com and info@greysys.org. We hope the Society would be a valuable addition in International Association of Grey Systems and Uncertainty Analysis.